View from the oversized terrace. 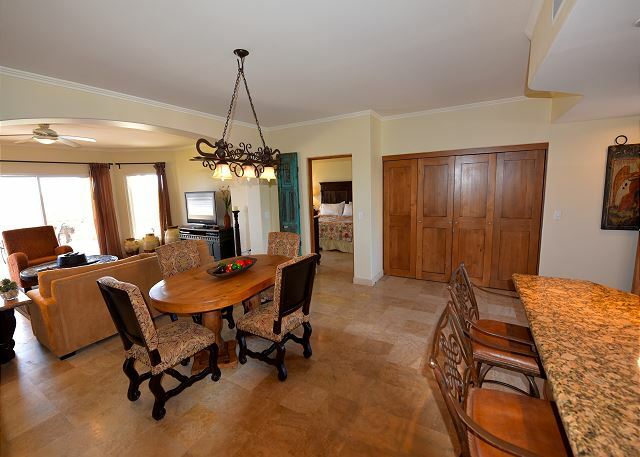 This condo has an oversized furnished condo. 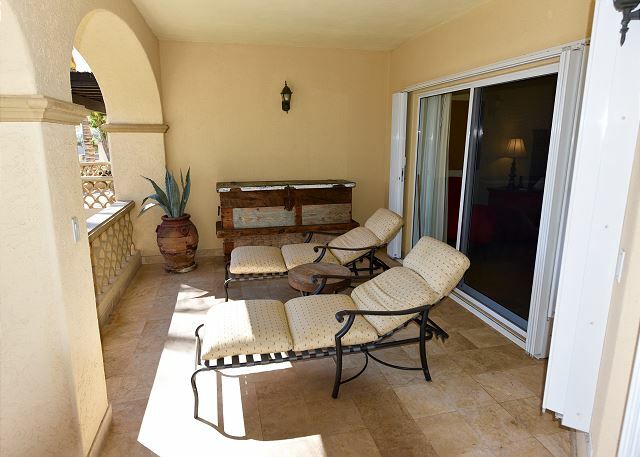 Terrace in front of the master bedroom has lounge furniture. View of the pool grounds in front of the condo. 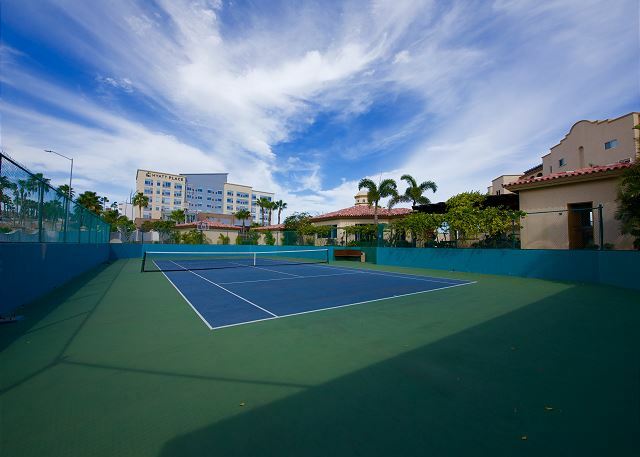 Las Mananitas has a private tennis court. 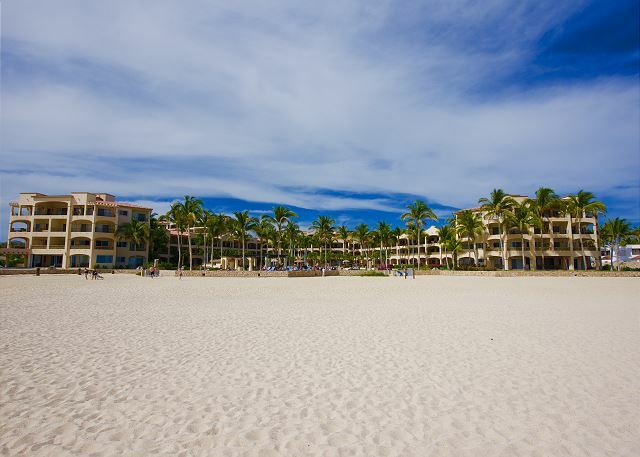 Las Mananitas sits on miles of white sand beach. 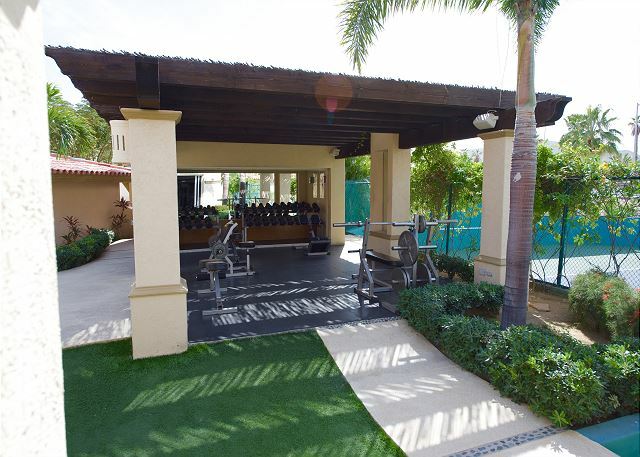 Las Mananitas has an outdoor and indoor gym. 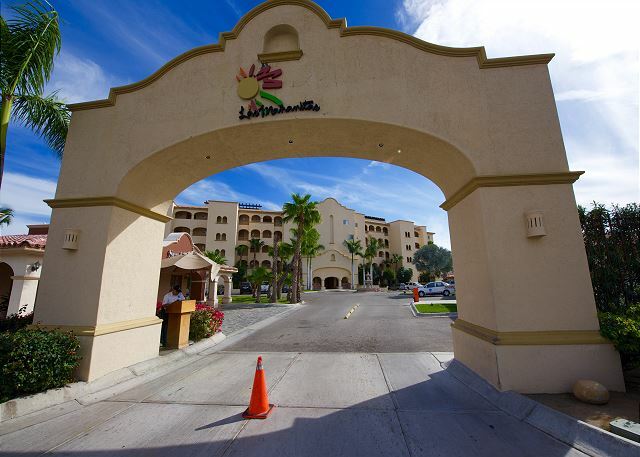 Front street entrance to Las Mananitas. 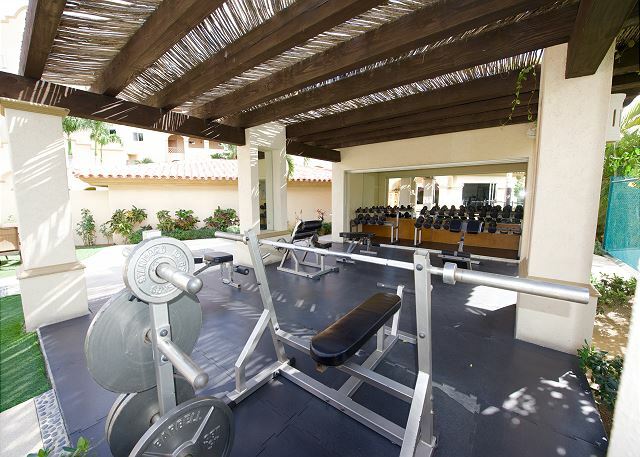 Fully equipped gym with all machines and weights. Free weights in the outdoor gym. 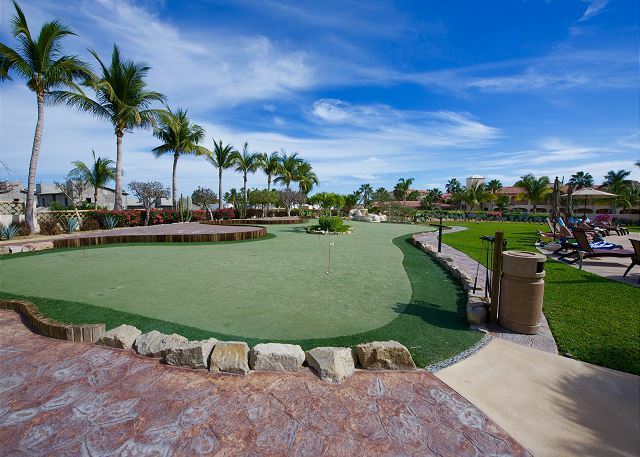 Las Mananitas has a putting green in front of 4201. 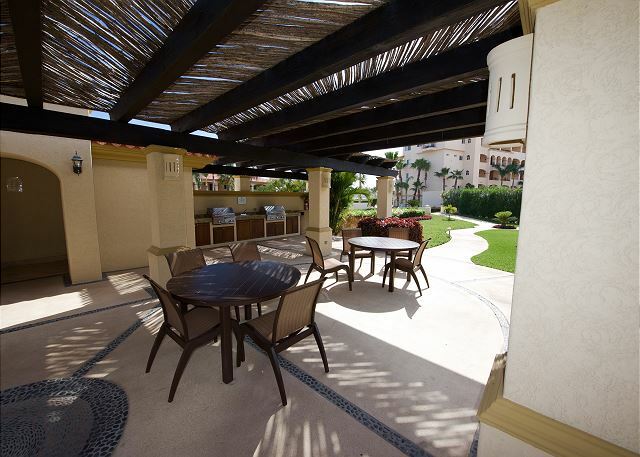 Multiple BBQ stations with shaded eating areas. 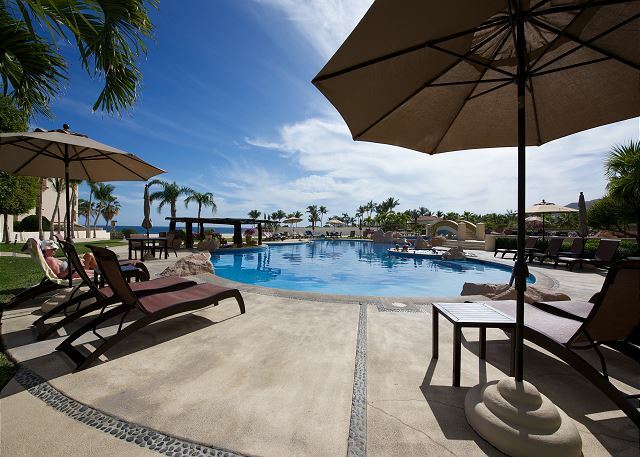 This is the beachfront pool. Pool in front of 4201. 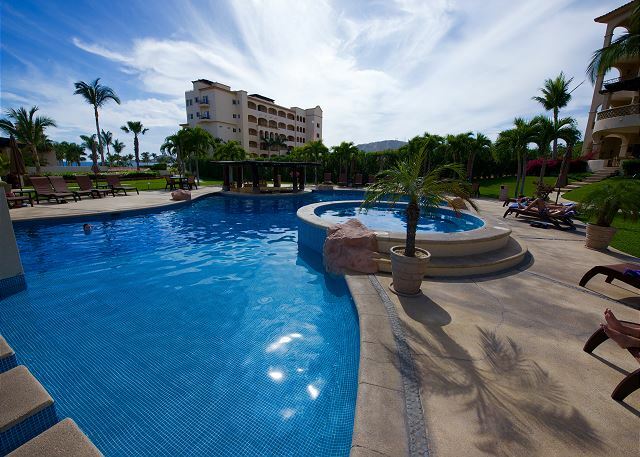 Las Mananitas has multiple swimming pools. 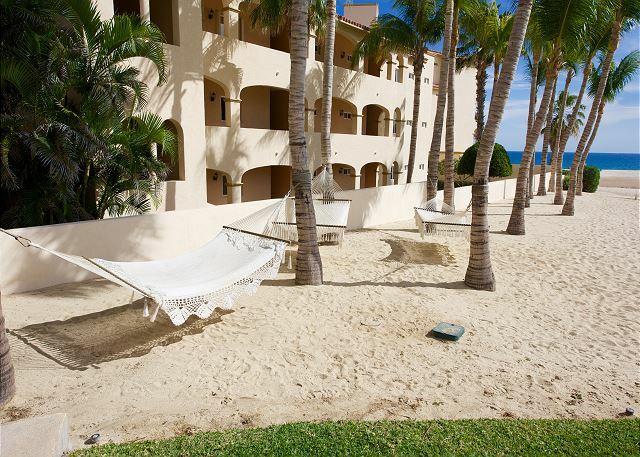 Hammocks to lounge in close to the beach. Looking back at condo from the terrace. 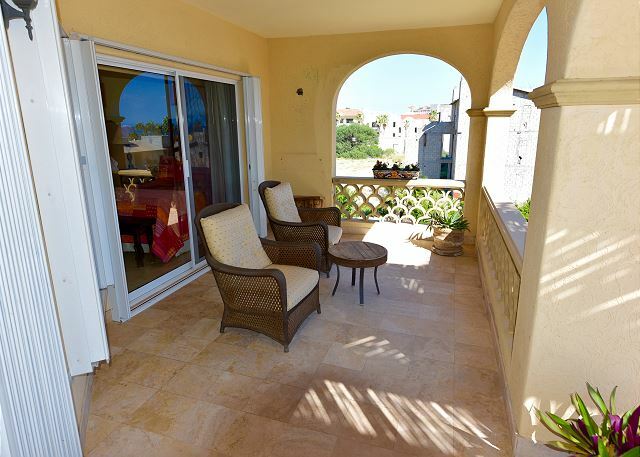 This condo has an oversized furnished terrace. Looking into the condo from the front door. Looking into the living room from the oversized terrace. 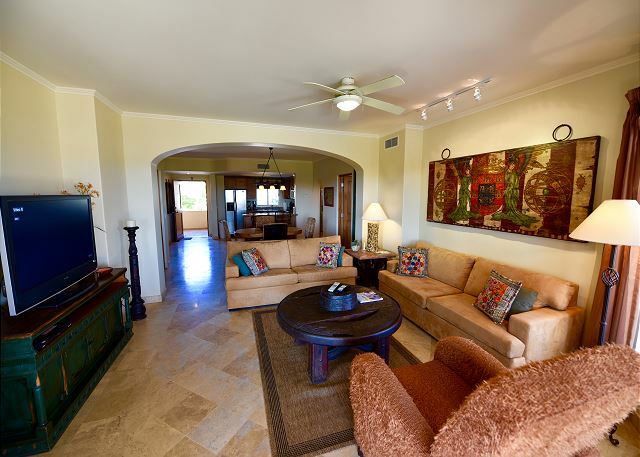 The living room is nicely furnished and opens to the terrace. 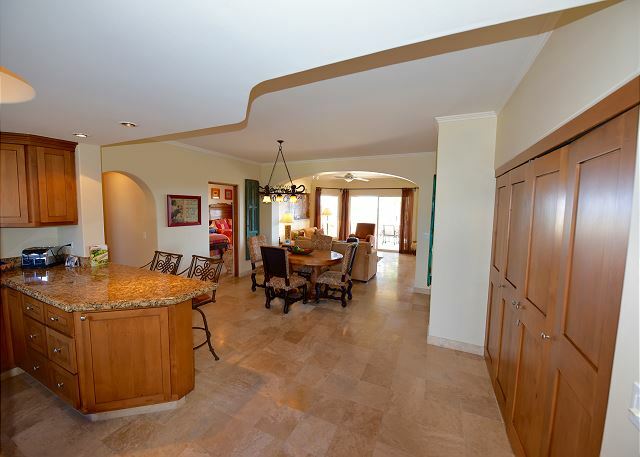 Large kitchen and dining room. 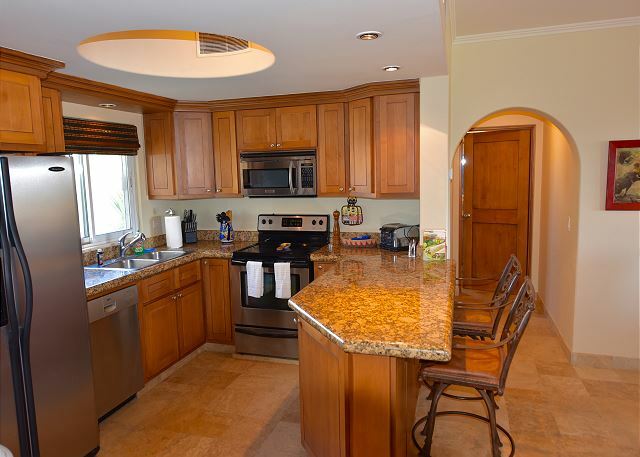 The kitchen has granite counters and bar seating. The dining table seats 4 and the bar seats 2 more. Looking into master from the terrace. 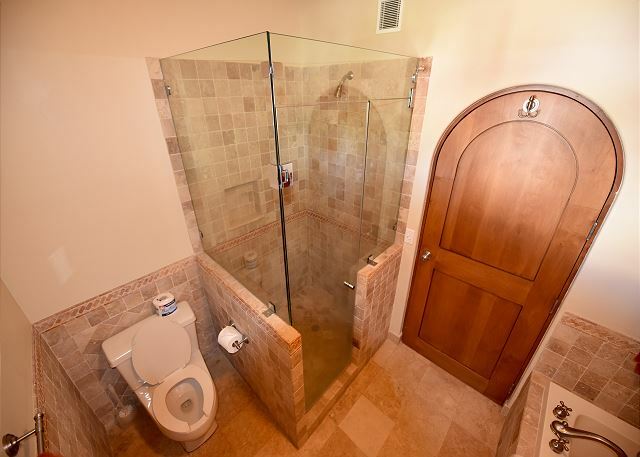 The Master has an attached private bathroom. 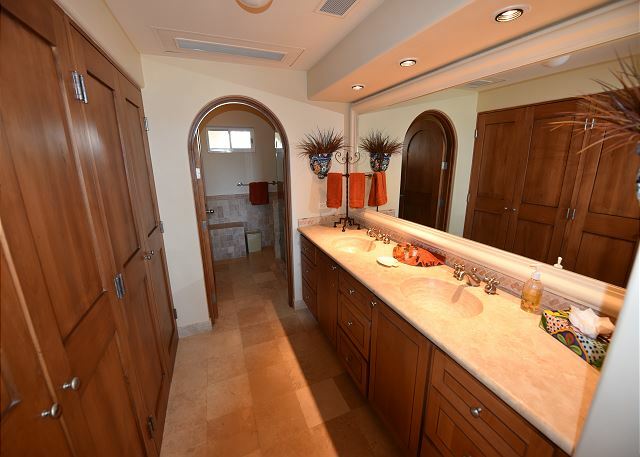 The master bathroom has dual sinks, large vanity, and large closets. 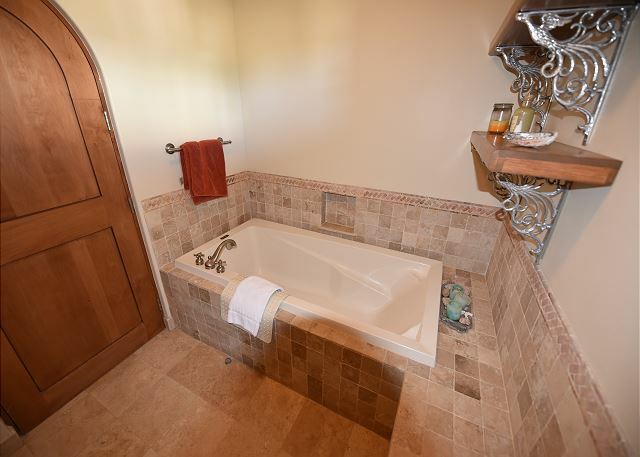 The master bathroom has a shower and a bathtub. 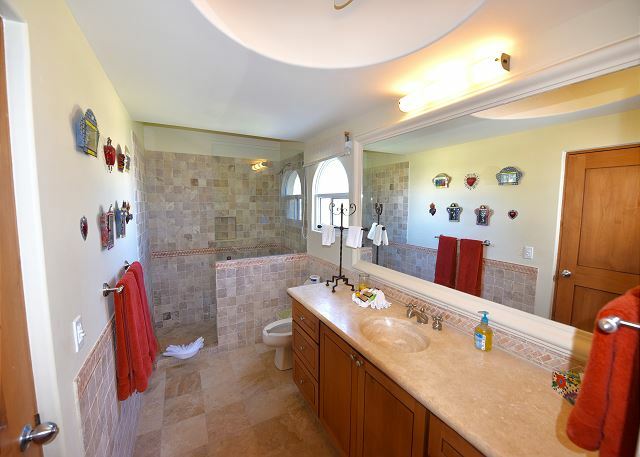 The guest bedroom has an attached shared bathroom. 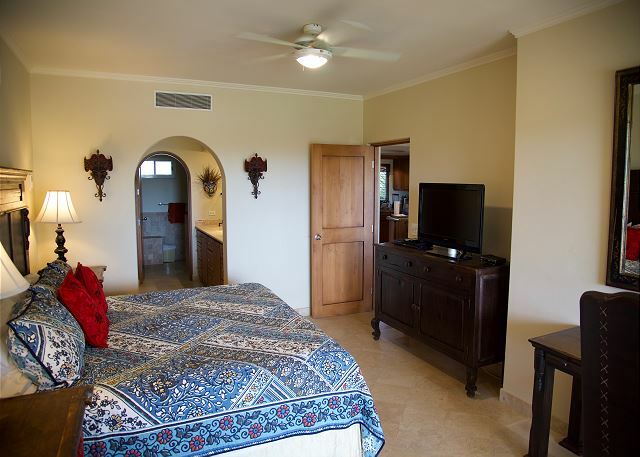 The guest bedroom has satellite television and opens to the terrace. 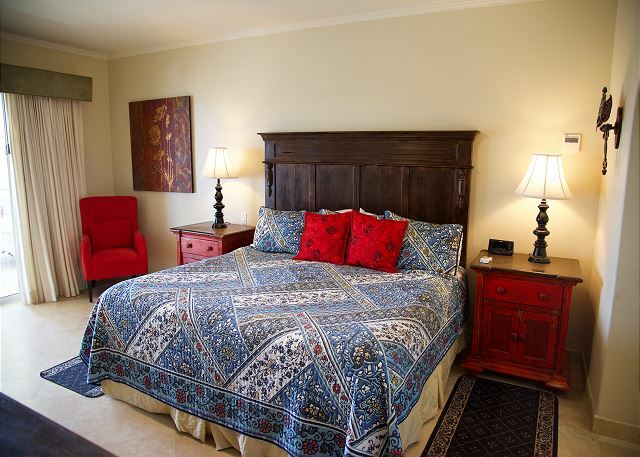 The guest bedroom has 2 queen size beds. Looking into the guest bedroom from the terrace. 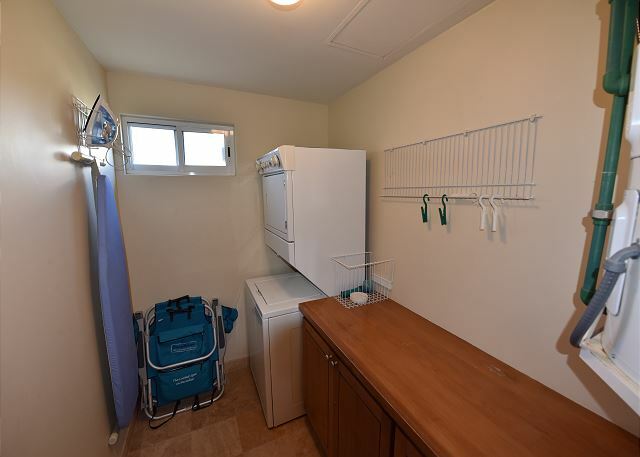 The condo has a laundry room with a washer, dryer, and folding counter. 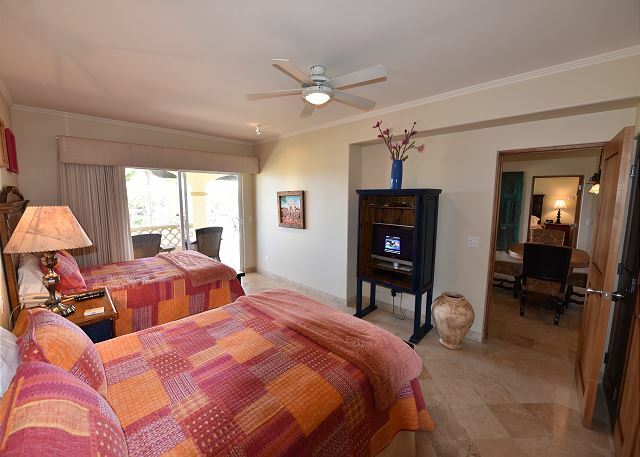 Our spacious fully furnished 2 Bedroom Las Mananitas corner unit has all the comforts of home. 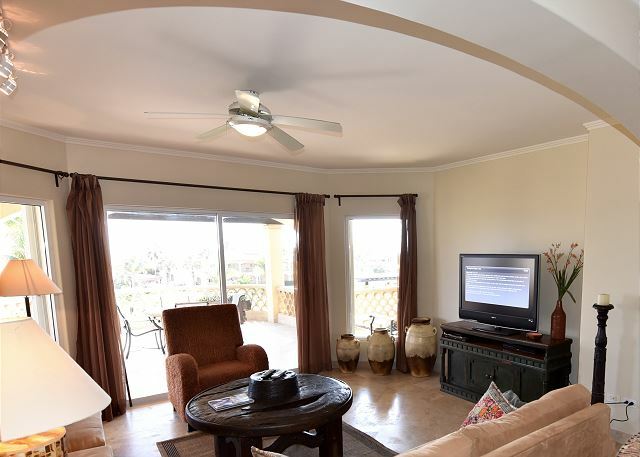 We have a large TV in the living room and both bedrooms are also furnished with TVs that have satellite reception. 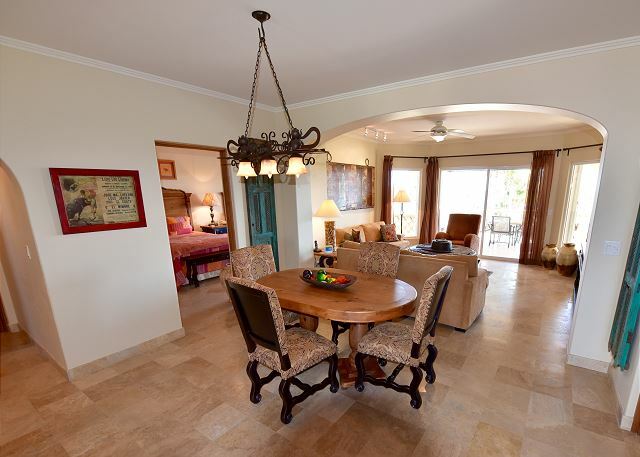 There is a fully equipped kitchen and an over sized terrace with a marble top dining set, 2 recliners, and a sitting area. There is also free WIFI AND a telephone for free calls to the USA and Canada. 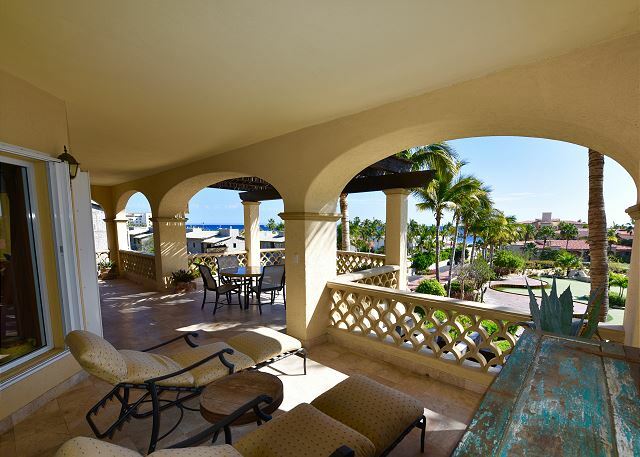 On site amenities include a full indoor gym with an outdoor weight lifting area, 4 pools and Jacuzzis, a tennis/basketball court, putting green, 24 hour on site security, and walking distance to the beach, grocery stores, restaurants, and bars. 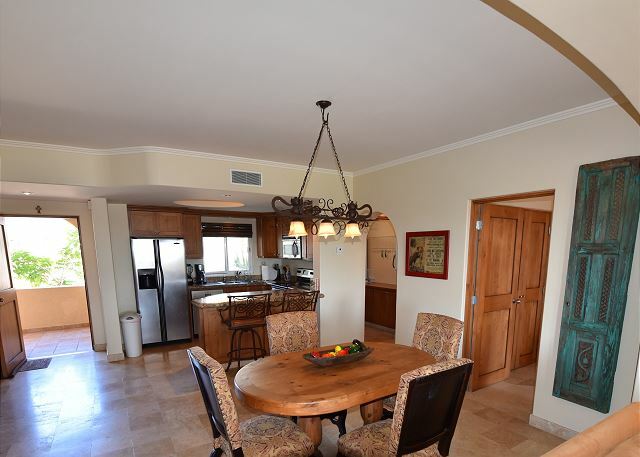 **Property is listed for sale, the real estate agent may request showing the property. 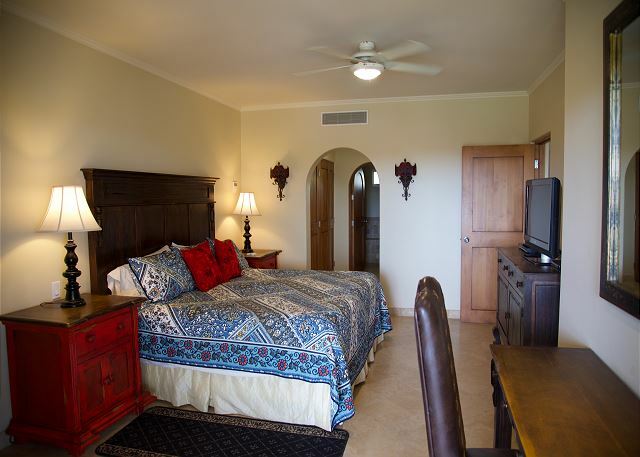 If you want a quiet, low key vacation on a beautiful property, this is your place. 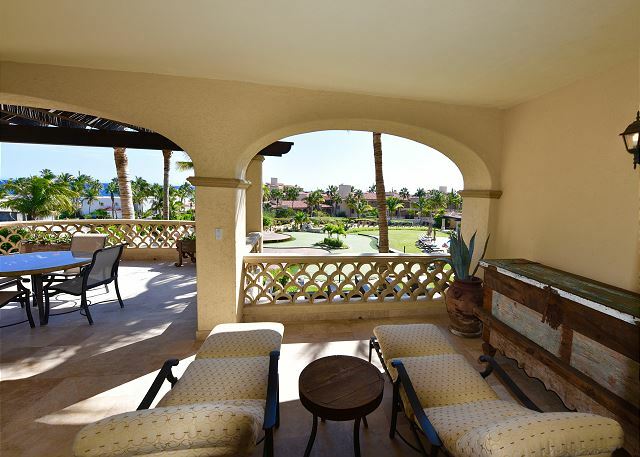 San Jose del Cabo beaches were beautiful, Las Mananitas property is on the beach, this condo building is set back from the beach, but takes about 3 minutes to walk to the beach. Very convenient! There is a pool, hot tub, beautiful workout gym right across the parking lot. I used the gym every day and it is very well appointed. The bus into Old Town San Jose picks you up about 50 yards away for about a dollar for more restaurant and shopping choices. There are some restaurants nearby, two grocery stores a few blocks away. The beach was like having your own, very quiet and very few people. Our condo was beautiful and had the basic essentials in the kitchen. We ate in for breakfast and lunch, and usually went out for dinner. A swiffer would have been handier than a broom for quick pickups of sand and dust and the hair dryer provided set off the smoke alarm when I turned it on high. 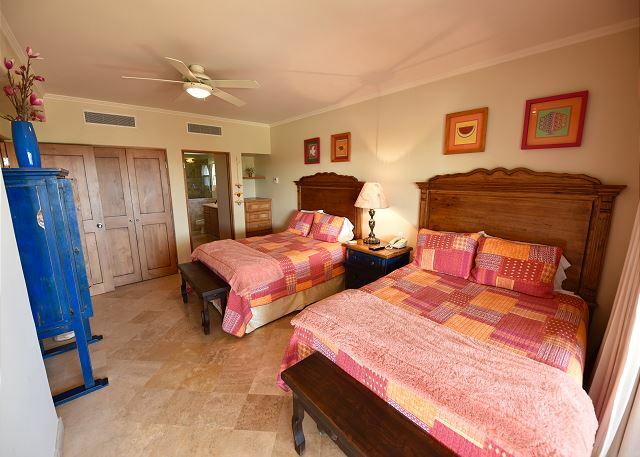 The beds are very firm (Mexican style), but a topper pad would really help. Those are the only minor things we ran into. The balcony area is amazing, wifi and tv's worked great. 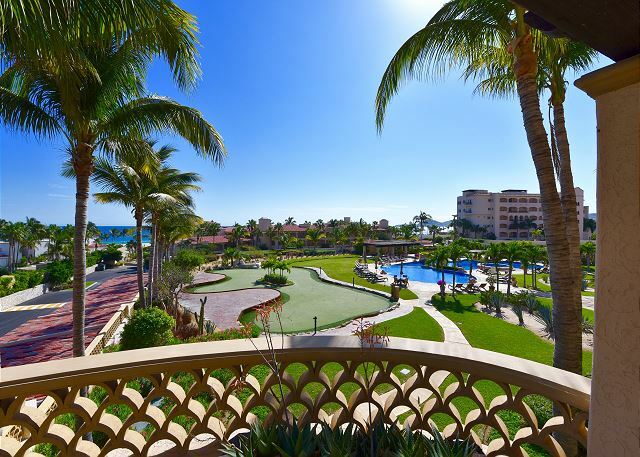 If you want more night life, shopping, hawkers pestering you at every turn, hustle and bustle, then Cabo San Lucas is your place to be. 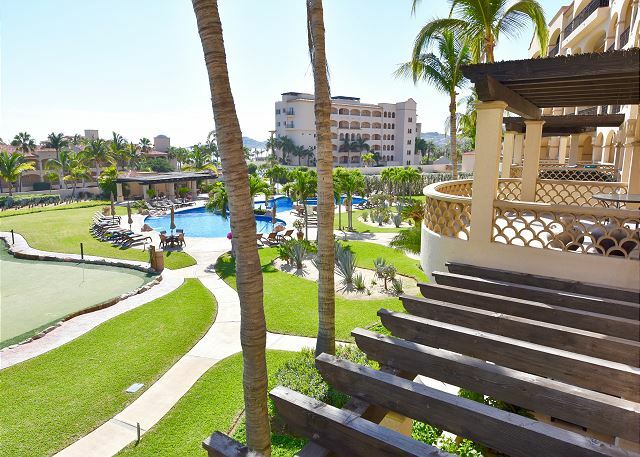 We did take the bus to Cabo San Lucas for a day, and were so happy we decided to stay at Las Mananitas! The owner was so kind and let us check out late, as our flight out wasn't until 8:00 pm. That made our departure so much more relaxing, and we got to sit in the sunshine another few hours until we had to catch our shuttle to the airport. 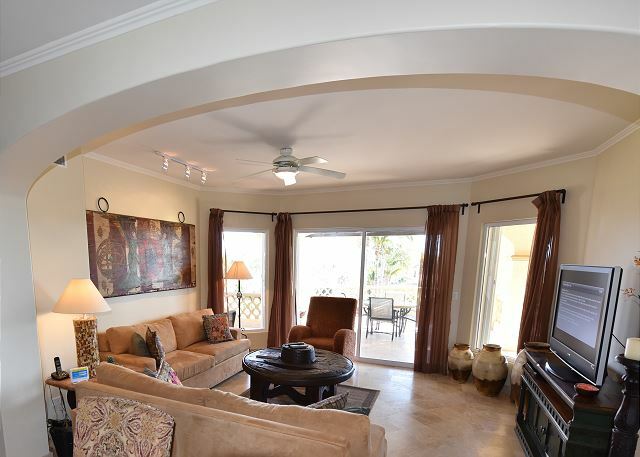 The condo was fabulous! The terrace was huge & the place we spent most of our time. 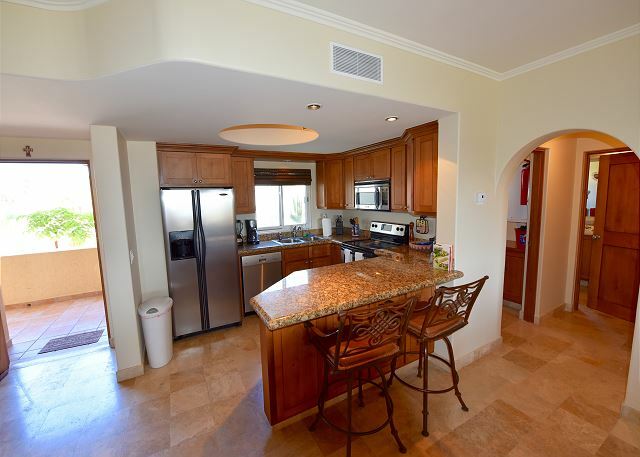 The condo was extremely clean, comfortable & well stocked with dishes, towels, beach chairs & a cooler. It was only missing a beach umbrella. The location was great too. Very little traffic noise. We will definately stay there again! 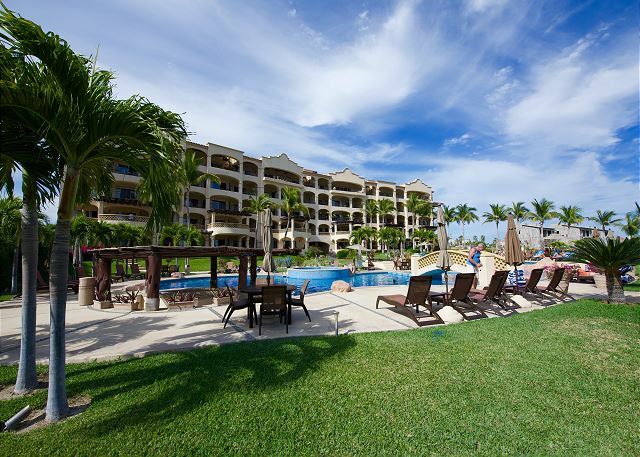 Las Mananitas is a wonderful complex. We have stayed there many times. This unit was lovely. Most are. We would recommend it. Las Mananitas met all our needs and then some! 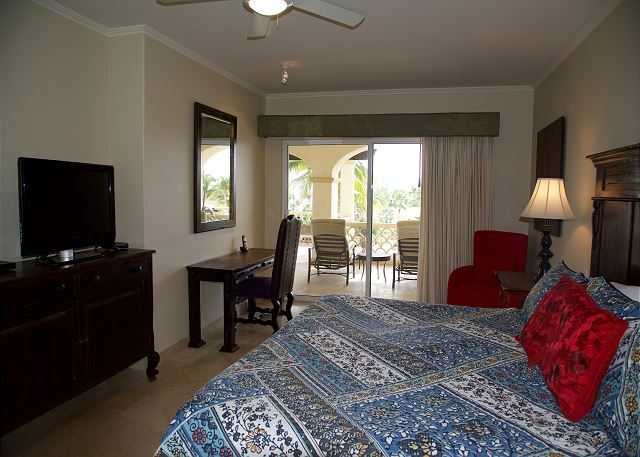 The location was perfect and the amenities were great and always clean and carefully attended to. We would recommend this property to friends. We explored all the nearby beaches and also some farther away. All were spectacular in their own way. La Comer was very convenient for groceries and Taqueria Rossy and La Quacamya were favourite restaurants. The only upgrade I would recommend, is allow returnable bottles to be sorted separately and given to staff to take in for pesos when possible. Plastic bottles fill half of garbage and most people separate these items at home. If this allows for extra income for staff that would be terrific! It troubles us to put these in garbage. 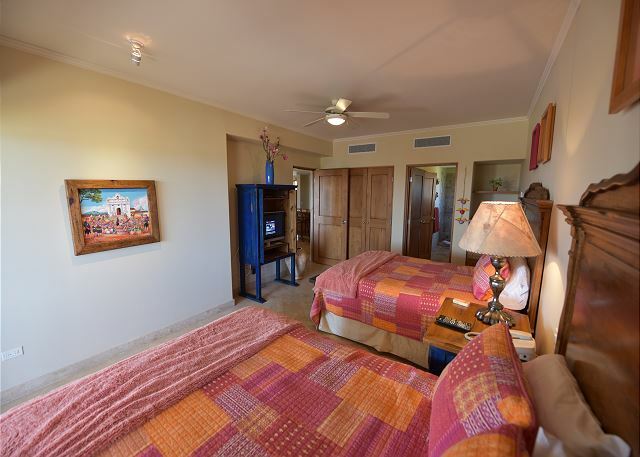 Loved our stay at Las Mananitas in this second floor corner unit. The patio was extra large and really great to hang out on. Although set back from oceanfront, the view was great and very private. 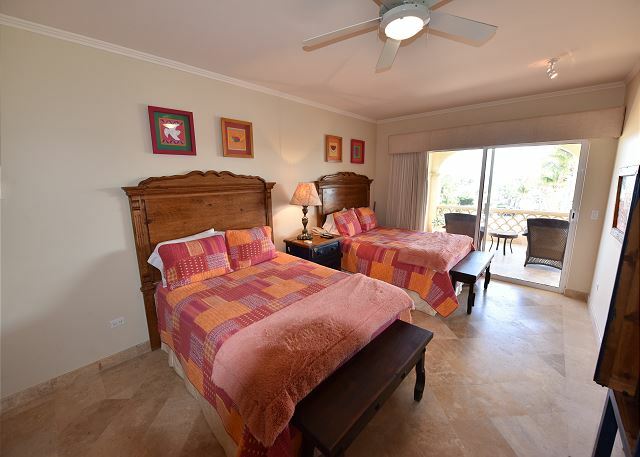 The location is within walking distance to shops, other hotels, and town of San Jose. There are 3 pools at this property and all were great to swim and lounge at, BBQ facility excellent. 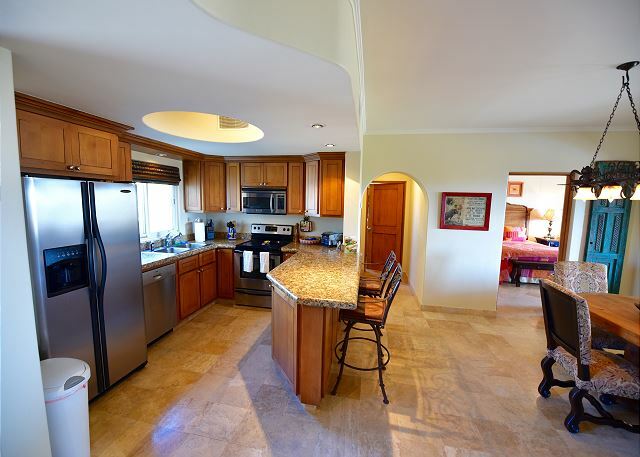 The layout of the unit was perfect for two couples sharing and amenities in kitchen good for when we cooked in. Unit was clean and all in working order. Very happy with this vacation property.